These are the products that I'm trying out for this post — Pro Base Illuminating Primer, Brow Revolution in Dark Brunette, Rose Gold Chocolate Palette, Love Chocolate Palette, Triple Baked Highlighter in Goddess of Faith, Triple Baked Blush in Candy Queen of Hearts, Strobe Highlighter in Moon Glow, and a few lip colors. 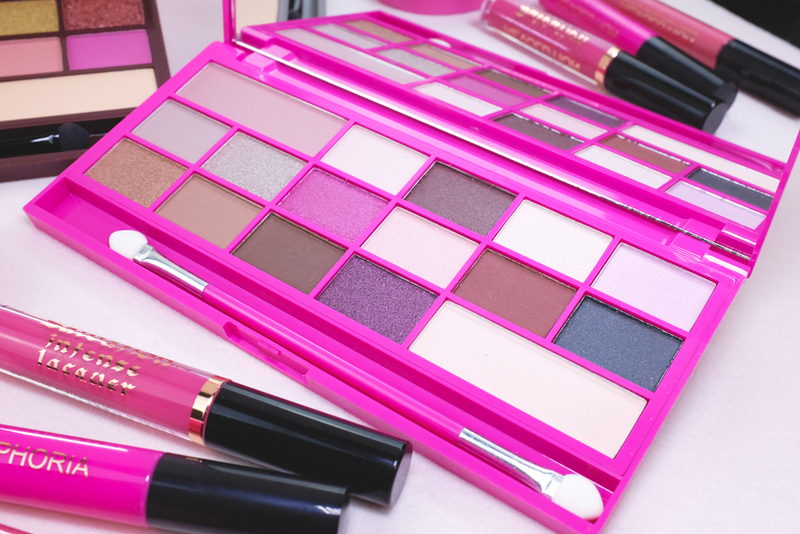 The palettes are vivid with the perfect mix of neutrals and glitters. I'm really surprised by how blendable and soft they are. 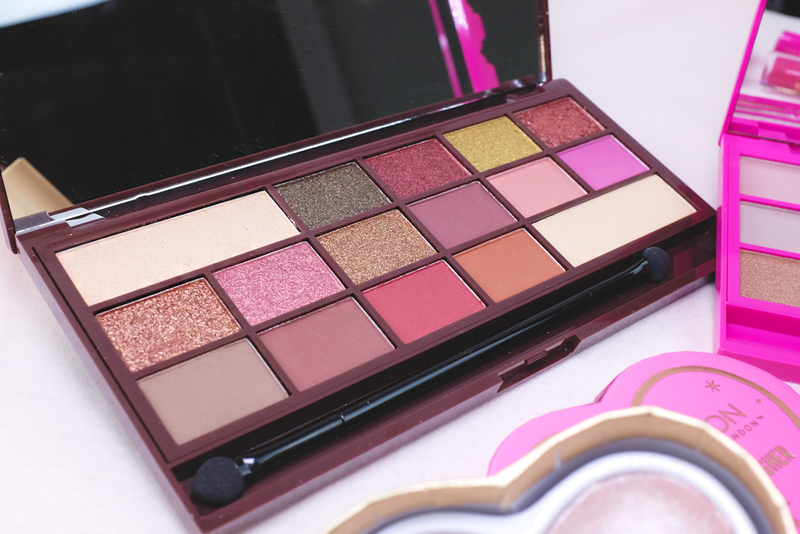 For the price point, I'd say that the eyeshadow palettes are more than worth it and are some of my favorite Makeup Revolution palettes that I've used so far. 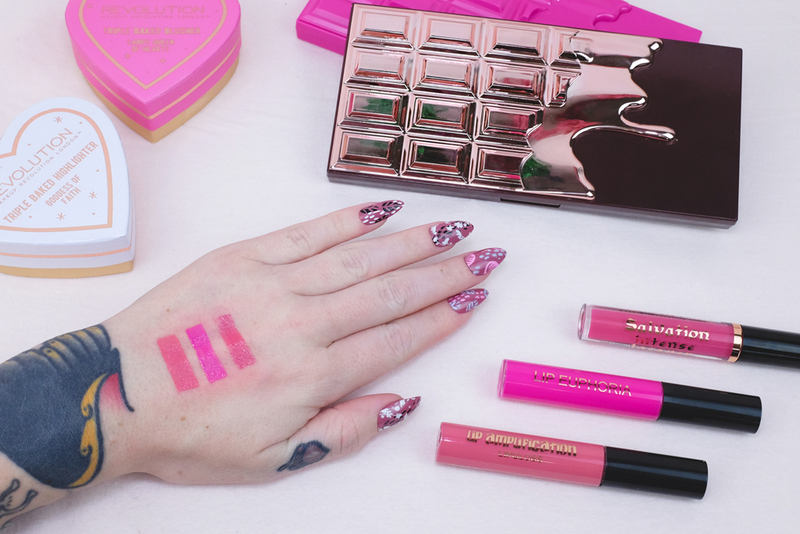 I am trying out three different types of liquid lipstick. From left to right — Lip Amplication in Epic Love, Lip Euphoria in Destiny, and Salvation Intense Lip Laquer in Didn't I Tell You? All three have good pigmentation. Destiny is slightly more sheer and sticky than I normally prefer, but it's a bright and fun pink that I can use for short term wear. And now for the fun stuff! Here are my three looks and which products I used for each. For every look, I used the Brow Revolution and Primer. The Brow Revolution product definitely takes some getting used to. I am accustomed to the Anastasia or Colourpop brow gel pots and angled brush. Brow Revolution is a much larger brush that cannot obtain a sharp point. I ended up using the formula with an angled brush and the provided spoolie. The primer may be one of my favorites that I've ever used! A little goes a long way and it has the slightest shimmer to it. Eyes: Rose Gold Chocolate Palette deep reds and browns blended lightly. Eyes: Love Chocolate Palette bright pinks with a dab of Salvation Intense Lip Laquer in Didn't I Tell You? for glossy effect. Please use caution when using products near your eyes. Mini Penny Blog does not condone using non-eyesafe cosmetics in the eye area. 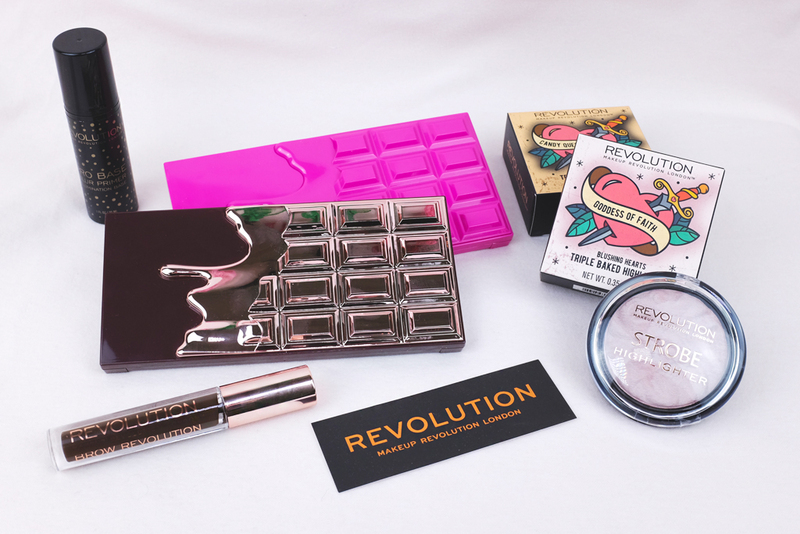 All products are gifts of Makeup Revolution USA. All opinions are my own.